Ozark is also known as: Dale County / Ozark city. Their current mayor is Mayor Billy Blackwell. Zip codes in the city: 36360, 36361. Dale County funeral flowers can be purchased from one of the local funeral shops we partner with. Some of the notable people born here have been: Josh Savage (american football player), Wilbur Jackson (american football player), Marc Ronan (baseball player), Steve McLendon (american football player), and Keith Davis (actor and film editor). Ozark is a city in and the county seat of Dale County, Alabama, United States. As of the 2010 census, the population of the city was 14,907.Ozark is the principal city of the Ozark Micropolitan Statistical Area, as well as a part of the Dothan-Enterprise-Ozark Combined Statistical Area. Fort Rucker, the primary flight training base for Army Aviation, abuts Ozark. It was noted on January 22nd, 2019 that Mary Smith (Davis) perished in Ozark, Alabama. Ms. Smith was 85 years old and was born in Pearisburg, VA. Send flowers to express your sympathy and honor Mary's life. It was revealed on September 9th, 2018 that Donald Harold "Don" King perished in Ozark, Alabama. King was 78 years old and was born in Tampa, FL. Send flowers to share your condolences and honor Donald Harold "Don"'s life. It was written by San Antonio Express News on March 9th, 2018 that Hazel Ruth Dawkins (Andrews) passed on in San Antonio, Texas. Ms. Dawkins was 89 years old and was born in Ozark, AL. Send flowers to express your sympathy and honor Hazel Ruth's life. It was revealed on February 25th, 2018 that Miriam Roberts (Annulette) passed away in Byhalia, Mississippi. Ms. Roberts was 89 years old and was born in Ozark, AL. Send flowers to express your sorrow and honor Miriam's life. It was reported on December 20th, 2017 that Ella Shehorn (Ayers) perished in Ozark, Alabama. Ms. Shehorn was 87 years old and was born in Mount Pulaski, IL. Send flowers to express your sympathy and honor Ella's life. It was revealed by Texarkana Gazette on October 10th, 2016 that Shelby Thomas Lindsay passed away in Omaha, Texas. Lindsay was 88 years old and was born in Ozark, AL. Send flowers to share your condolences and honor Shelby Thomas's life. It was reported on January 6th, 2016 that Carl Honaker perished in Ozark, Alabama. Honaker was 89 years old and was born in Keen Mountain, VA. Send flowers to express your sympathy and honor Carl's life. It was noted on January 5th, 2016 that Ernest Irvin Mobley passed on in Ozark, Alabama. Mobley was 99 years old and was born in Tampa, FL. Send flowers to express your sympathy and honor Ernest Irvin's life. It was reported on May 29th, 2014 that John Francis Payne perished in Ozark, Alabama. Payne was 92 years old and was born in Mill Creek, IL. Send flowers to express your sympathy and honor John Francis's life. It was revealed by Flint Journal on May 3rd, 2014 that Annie Merle Chatman (Dyck) passed on in Flint, Michigan. Ms. Chatman was 75 years old and was born in Ozark, AL. Send flowers to express your sympathy and honor Annie Merle's life. In United States Census, 1980 the population was 12,205, and in United States Census, 1990 it was 13,030. The first known European settler in Ozark was John Merrick Sr., a veteran of the Revolutionary War, in 1822. The first appearance of the name Ozark was in 1855, when the citizens requested a name change. 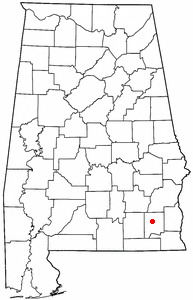 The courthouse in Newton, Alabama burned to the ground, and an election was made to find the new county seat. Ozark won, and in 1870 was incorporated. The official website for the city of Ozark is http://www.ozarkalabama.us/ozark/. Listing all funeral homes in Ozark, Alabama so you can easily send flowers to any location (same day delivery) or find any funeral service. Here is a list of Ozark funerals and memorials providers.